Known for outstanding reputation for performance and quality, Lenovo is the third largest computer manufacturer in the world. The pocket sized Lenovo IdeaTab A2107 is easily portable and has an attractive design. At a 11.5mm thin and weighing just 400g makes it an effective tool. At seven inches and a resolution of 1024 x 600 pixels display is perfectly fine and produces colorful viewing. With dual-core tablets already retailing, Lenovo launched the A2107 Android 4.0 tablet, which features a single core processor, during IFA 2012 in Berlin, Germany. Besides its Lenovo IdeaTab S2110, Lenovo unveiled two more tablets: A2109 and A2107. Unlike the A2109, the A2107 includes dual SIM-card slots and is 3G-enabled. It has a longer battery lifetime (up to 10 hours), Bluetooth 4.0 capabilities, and 1GB of memory. Android devices don’t always work like a dream so a factory reset can be a helpful hand in solving problems. You could also do it when you give or sell your phone. Factory reset removes data from Data and Cache partitions such as apps, contacts, music, everything from the phone memory. What it basically does is bring a device back to a fresh state. In case your Ideatab A1207 has a problem (and you`re not able to see the home screen when you turn it on) a good chance of making it work again is a software reset. Before you start you should have a fully charged battery because you do not want to run out of power in the middle of a reset. It`s important to know that restoring your tablet will erase all your data. Simultaneously press and hold the “volume up” button and the “power” button until you see the text “factory mode” on the top left of the screen. You will then see a text menu on the top left of the screen. Use the volume down button to navigate the menu and use the volume up button to make a selection. Use the “power” button to return to the previous menu. Press the volume down button until “clear EMMC” is highlighted. Press the volume up button to select. The reset process will begin and the tablet will reboot. The reset process may take a few minutes and when it’s complete the casual lock screen will appear. There is one more method to reset the tablet, that doesn’t imply the loss of installed applications, defined settings and so on. This is also recommended when the slate cannot load Android. Remove the back cover at the top edge near the SIM card. Gently press the small white reset button underneath the camera using a pen or something similar shaped. The only key combo seeming to work is power+Volume_up so it brings up the factory mode. But in this mode, it allos me to navigate with the volume down… AND UP! so i hit volume down, cursor goes down, i hit volume up, cursor goes up… and power maken nothing (even on long press). So in brief, i can navigate tne main menu but can NOT interact with it. The only other button, reset, just phisically cuts the connection between battery and tablet, so everytime we touch, tablet is powered off. Sorry to hear about your bricked tablet, restoring to factory may do the trick but I can’t vouch for it. As for your problem, are you sure that the Power button is actually working in any other environments? I mean, can you shut down the device using the power button? It sounds a bit strange for this button not be recognized by the recovery menu. Another option would be to use the camera button, if the tablet has such a dedicated button. If all the above fail, try to flash a stock ROM on the slate. I can’t help you with instructions on that matter yet (we will have a dedicated section in the future), but I strongly recommend XDA forums for that part. The power button was working nice: it was the button i pushed for powering on the tablet. It didn’t powered off, but the reset button (the little pinhole under the camera) did. My friend told me he made an OTA update (you know, tablet informing “There is a software update”) a few months ago. May this update have changed the factory mode tablet keys mapping? Two buttons were working, one as expected (volume down = go down one entry in menus), one unexpectedly (volume up = go up one entry in menus vs the expected “intro” behaviour); and the power button doing nothing. Tablet has no camera button. Just under de camera, inside the case, is there a little pinhole, called “reset”. I’ve read this is, in fact, a phisical switch: when you press it, you are disconnecting battery from the tablet, so no energy arrives to electronic components, thus acting like a power off switch. But i’ve solved it. how? pure luck. In a frustration moment, I repeteadly hit the volume buttons just after powering it on. Not sure how many times, for how many seconds, it it was volume up, down, or both at the same time, but it take up a CWM recovery menu. Wiped caches, dalvik, and so on, installed a new rom… two seconds? almost no messages? repeat without reboot, select a different ROM. Ok, it takes longer, many messages (installing system… boot… and so on). Lets try to reboot… Voilá! Tablet fully working.With calling and FMradio, and in spanish (perfect, as I’m in Spain). Some apps are having a weird behaviour with GPS, and root isn’t working too, but now it works… i should make a backup and then “play” on rooting and finetuning. Hehe, glad to hear that 🙂 Enjoy your tablet and next time, if you want to mod it or root it, do it yourself. It’s better when you manually search for a guide online and take interest in the instructions. Please i need a guide to reset my Lenovo A10 ideapad android base, thanks. Thank you so much. It worked..! The hard reset only works once the tablet is powered down. How can a password be reset on lenovo A2107 without bringing back to factory setting. Unless you know the password itself (in which case you can change it), there is no simpler way to recover it. Thanks Alex. That’s what I Thought. hmmm, i did reset to factory settings of my ideattab a2107a and after it has gone to factory mode it has frozen and i can continue to next item. any help for me? How are you ? 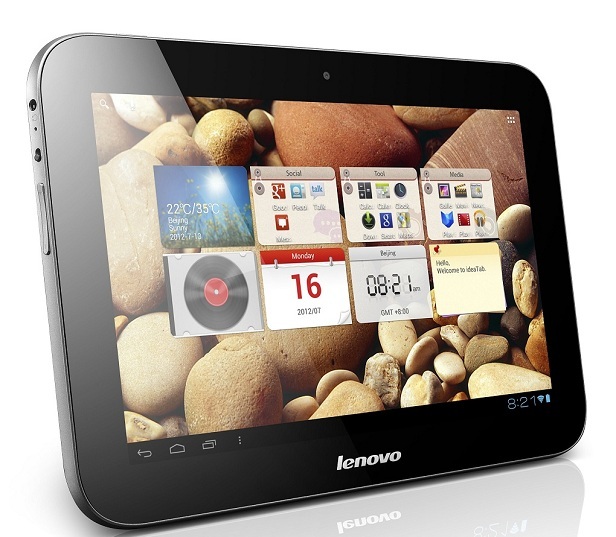 I have Lenovo Ideatab A2107A-H, Android 4.0.3. I was trying to upgrade Android 4.0.3 (ICS) to Android 6.0.1 (Marshmallow). I was trying to download TWRP using Flashify but there was no relevant version for my tablet. So, I used Recovery.img file which I have downloaded from somewhere on internet. But when I flashed Recovery.img file using Flashify my lablet rebooted but the the screen stuck on Lenovo screen at the start. I reset my tablet many times but in vain. I also tried power button + volume up button at the same time to go to factory reset but it did not work as well. After that I fully charged my tablet and press power button to start again it stuck on lenovo screen. Would you like to help me out. I will be very thankful to you !